U.S. 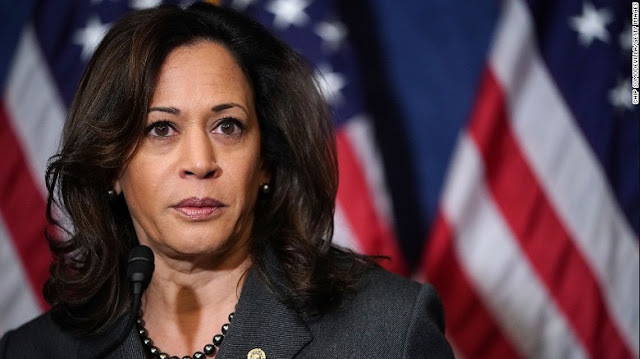 Senator Kamala D. Harris (D-CA) on Friday sent a letter to Attorney General William Barr demanding an explanation for the Justice Department’s latest position in Texas v. United States in support of striking down the entire Affordable Care Act as unconstitutional. During his confirmation hearing in January, Harris secured a commitment from Barr to reconsider the DOJ’s opposition to the Affordable Care Act. I write to follow-up on our exchange at your confirmation hearing on January 15, 2019, where you agreed to reconsider the Justice Department’s position on the Affordable Care Act (ACA). I am deeply concerned by the Justice Department’s filing on Monday in Texas v. United States, which supports striking down the entire ACA. This is an extreme and legally flawed position that threatens the health care and economic security of millions of Americans. Under Attorney General Jeff Sessions, the Justice Department refused to defend the ACA in Texas v. United States. The Justice Department argued that the law’s individual mandate was unconstitutional due to provisions included in the 2017 Republican tax bill, and urged the court to strike down key consumer protections in the law, including critical benefits protecting the millions of Americans with pre-existing health conditions. On December 14, 2018, a conservative district judge in Texas agreed with the Attorney General’s argument and struck down the entire ACA as unconstitutional. I hate Obamacare so much that it’s possible I’ve written more words criticizing it over the past decade than any person alive. I have supported multiple previous legal efforts against the legislation and its implementation . . . . Despite my policy preferences, I’d say the latest decision from U.S. District Court Judge Reed O’Connor of Texas declaring Obamacare unconstitutional is an assault on the rule of law. I agree. Admittedly, I support the ACA because I am a progressive who believes all Americans should have quality health coverage. But I oppose the Texas ruling because I am an attorney and I understand the law. I urge you to examine the effects of your decision. If upheld, the Texas ruling would cause serious harm to millions of Americans. Nearly 20 million Americans could lose their health insurance. Protections for pre-existing conditions would be eliminated. Seniors would pay more for prescription drugs. And many young adults would no longer be able to stay on their parents’ insurance until the age of 26. As Attorney General, you have the ability to change course and direct the Justice Department to take a different position in this case. That is why, at your confirmation hearing, I asked if you would reverse the Justice Department’s position on the ACA. In our exchange, you committed to reconsidering the Justice Department’s opposition to the health care law. Now, under your leadership, the Justice Department has submitted a court filing that supports striking down the entire ACA as unconstitutional. Reportedly, you opposed this decision, based at least in part on the conservative legal establishment’s skepticism of efforts to invalidate the law through the courts. Nonetheless, you reportedly allowed the Justice Department’s position in this case to be dictated by officials at the White House and the Office of Management and Budget. These events raise questions about your commitment to reconsider the Justice Department’s position. They also raise serious concerns about your obligation to protect the Department’s independence, shield it from political interference, and ensure compliance with Justice Department guidelines relating to appropriate communications with the White House. Any review of studies or data relating to the impact of invalidating the ACA. Were you directed by any Administration official(s) to support striking down the entire ACA? If yes, by whom and when? Were any career officials involved in the Justice Department’s filing on March 25, 2019?To the best of your knowledge, does the Administration have another proposal to provide coverage to the millions of Americans who would lose health insurance if the ACA were invalidated in its entirety?